The day starts soft, and I dodge the showers getting everything out to the car. My belongings seem to have expanded far beyond a single backpack: a shopping bag full of Irish teabags and birthday presents, a holdall with my footwear. The worry of shrinking back to one piece of luggage is a few days away yet, so I kiss my brother and sister-in-law and drive away – auspiciously, in the wrong direction. 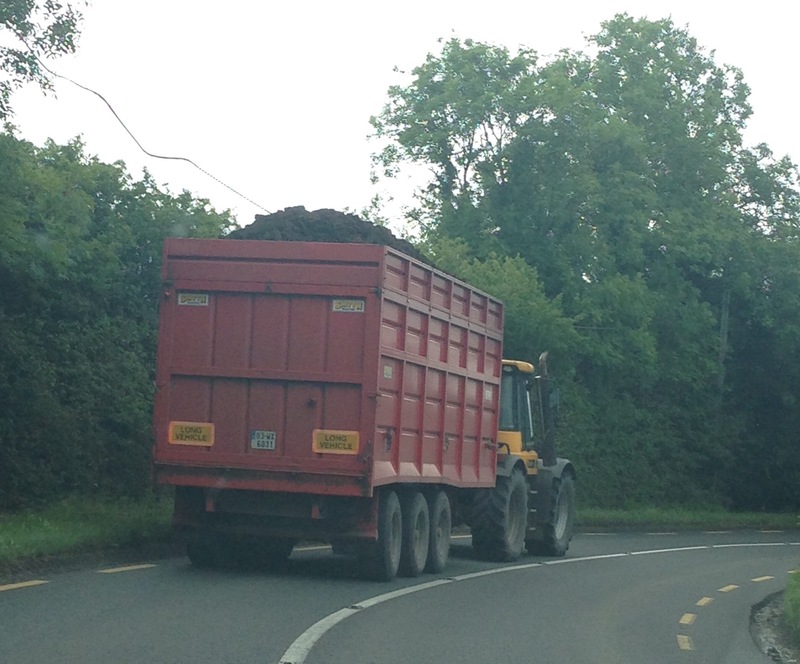 Back on track with the satnav, I follow turf trucks, tractors and crazy tradesmen through the country roads of west Kildare towards the heart of the Bog of Allen. Bungalows gleam in the sunshine; gardens and hedgerows are ablaze with colours as the late summer brings out red fuchsia, orange montbretia, purple redshank and mauve hydrangea. 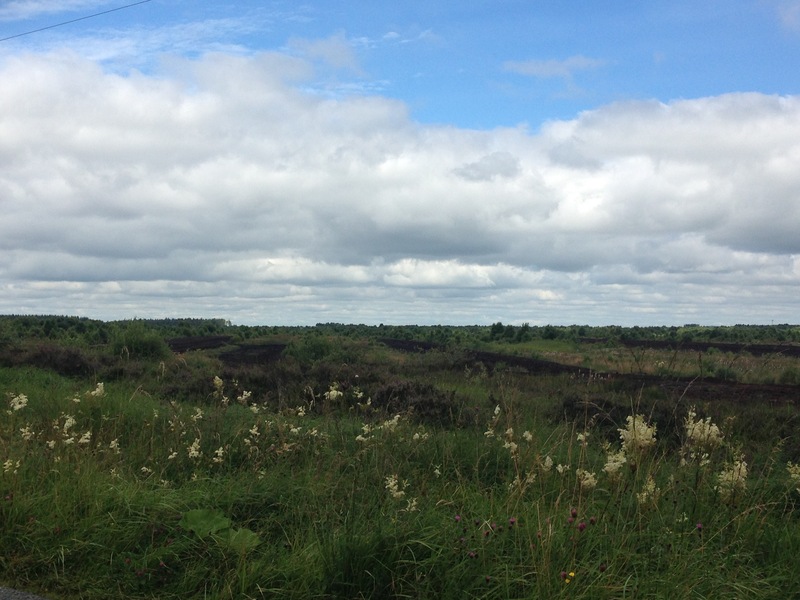 I drive along, close to Kildare’s border with Offaly, passing brown barns and raised bogs and nature reserves and hayfields and canals. 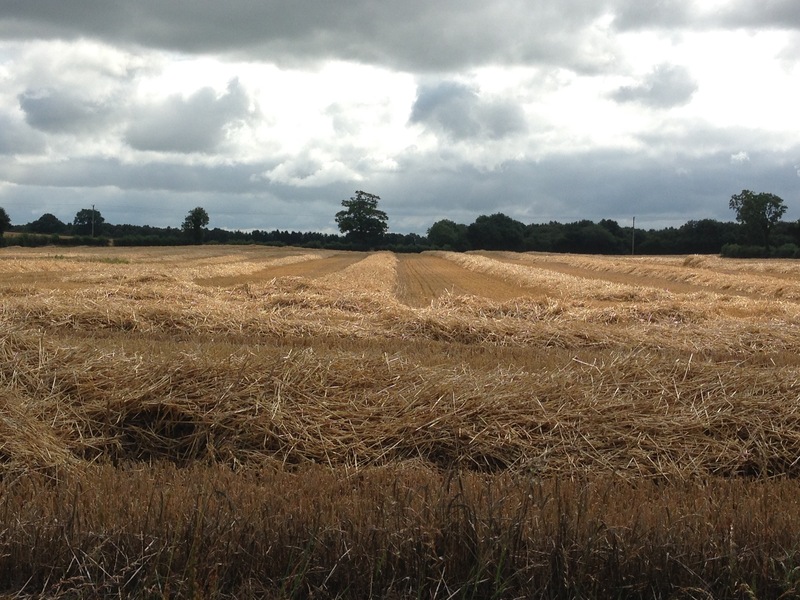 I stop at Rathangan as the Angelus rings out. 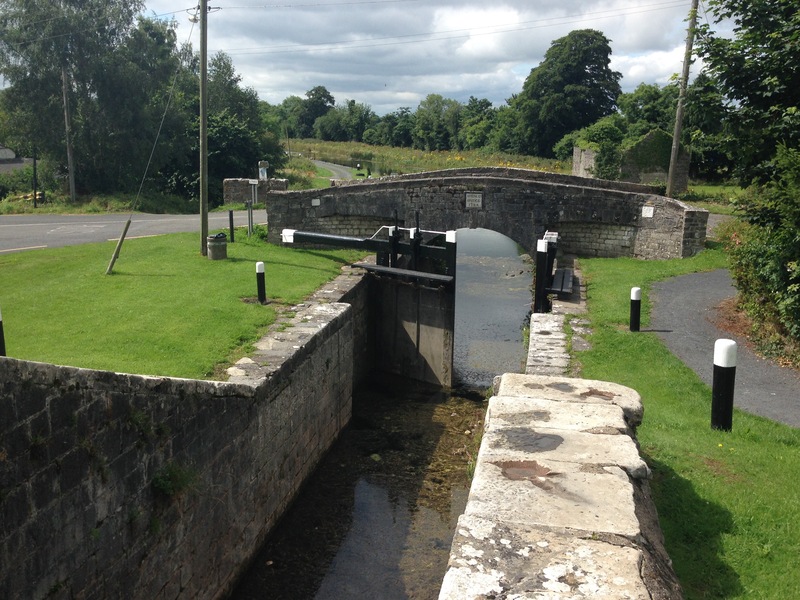 The Spencer Bridge at Lock 23 dates from 1784; sadly the lock here is no longer in use because of a nearby culvert collapse, but it’s beautiful nonetheless. I sit and take in the silence for a few minutes before driving on. Past a busy Monasterevin, I hit the M7 and return to the twenty-first century. I speed past towns and villages whose names used to be milestones on my regular journeys between Dublin and Cork back in the late eighties: Urlingford, where I always stopped at Kavanagh’s petrol station for the best scones in the midlands; Twomileborris and Horse and Jockey; Mitchelstown, where the creamery was, and Fermoy where you knew you were firmly back in Cork. 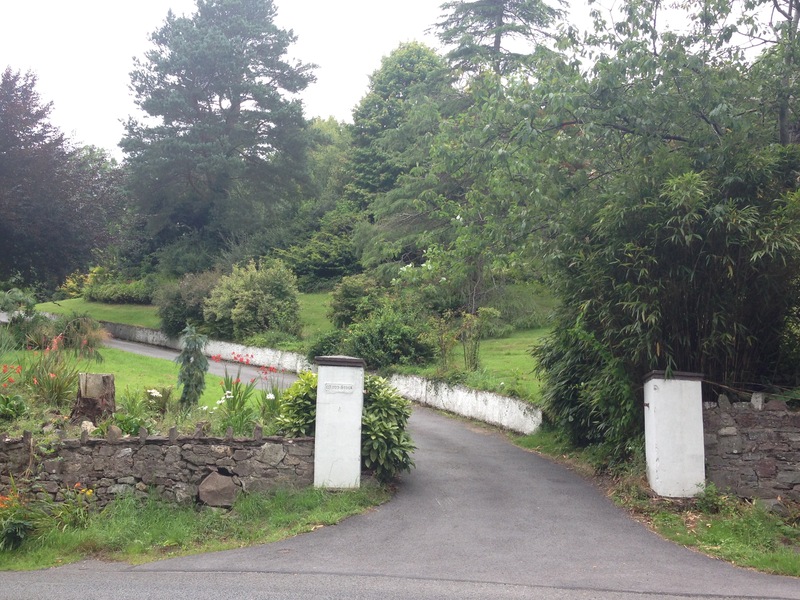 At Watergrasshill I get a fit of the nostalgics and come off the motorway early to find the cottage in Glanmire where I lived happily for two years. Up a winding country road in Eastcliff, here it is: Woodbrook, with the steepest driveway in the world, sitting alongside DJ Rockin’ Gerry’s house on the cliffs above the Glashaboy River. Heading into Cork I get stuck in the wrong lane and end up circumnavigating the famous Bells of Shandon before escaping the city. Motorway soon turns into main road, then into country road as I turn left at Crookstown. I stop to top up my water bottle and find myself at a road sign pointing me to the “Ambush Site”. 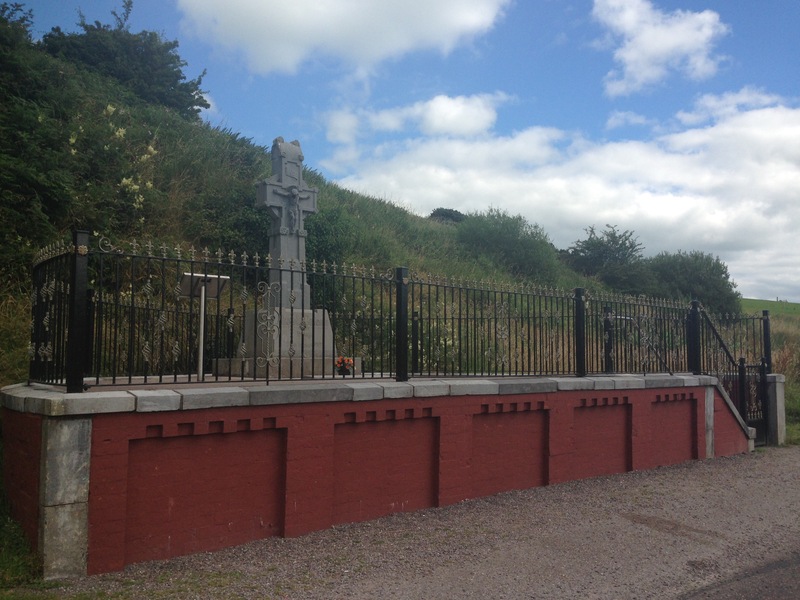 I’m in Béal na Bláth, where Irish patriot Michael Collins was shot dead in an ambush on 22 August 1922. I detour up a boreen and pay my respects at a high Celtic cross on the spot where he fell. A fitting thing to do on the centenary of the 1916 rebellion. Over the Cousane Gap, the scenery gets more and more spectacular. I catch a glimpse of water and a blue “Wild Atlantic Way” signpost, and I know I am almost there. 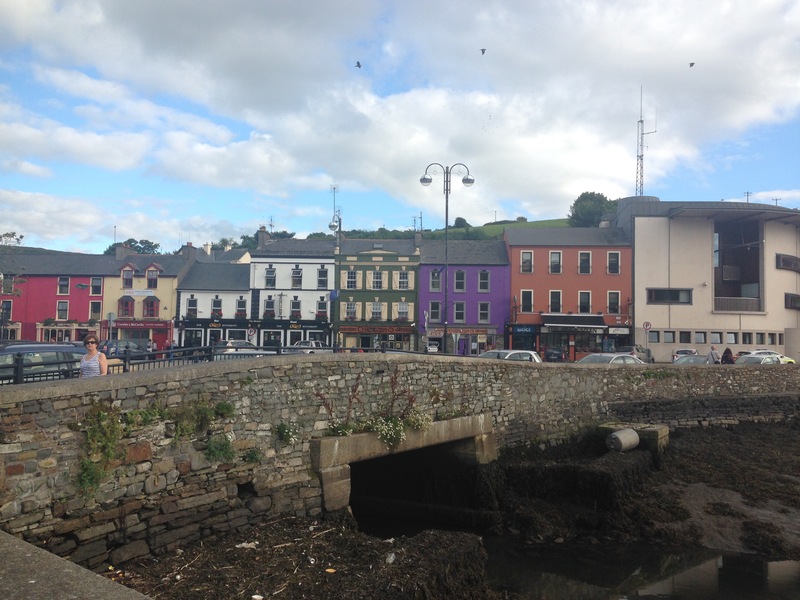 I check into my B&B and stroll downtown to the centre of Bantry town. The weekly market is just finished and Wolfe Tone Square is awash with Hiace vans, packing cases and half-deconstructed awnings. 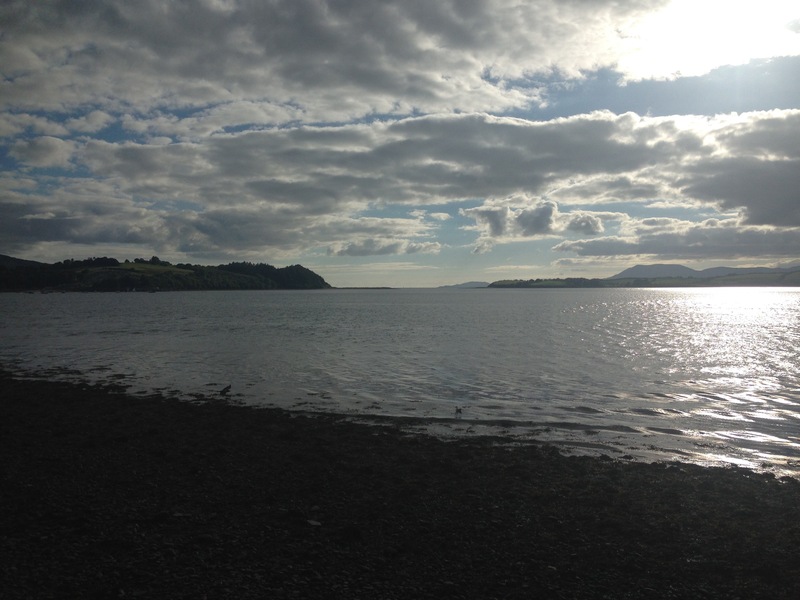 Down past the railway cottages at the pier, a Lottery-funded footpath provides spectacular views across Bantry Bay to Whiddy Island. The tide is almost out and the smell of the seaweed brings me back to childhoods in Galway. There’s heat in the evening sun, and I stop to peel off a few layers before turning back. 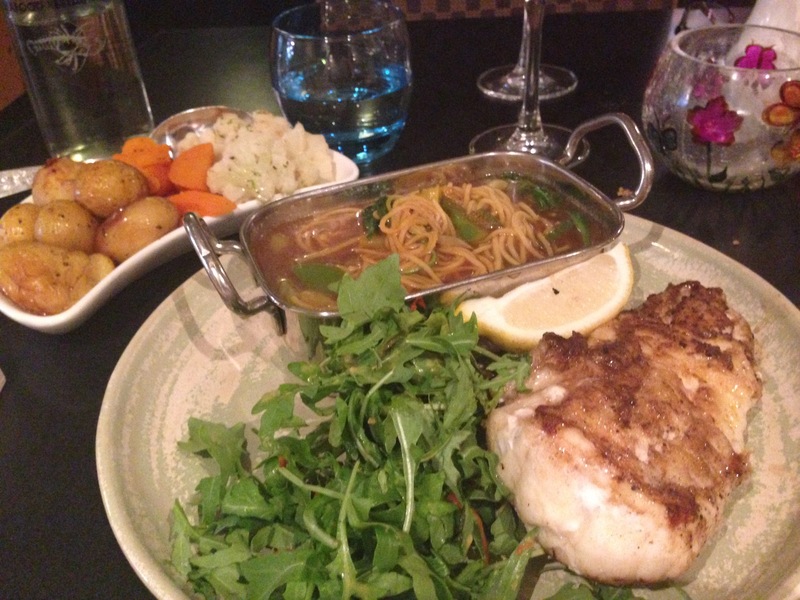 Later, in O’Connor’s restaurant, I feast on seafood chowder and a huge lump of monkfish, all local produce. The place doesn’t seem that busy but as I finish up round nine in the evening, quite a few people start steaming in. I’m tempted to find a friendly bar with some live music but the long drive has finished me off. Even though it’s close to ten at night it’s still broad daylight as I tuck myself up in my little single bed with a glass of red and a handful of Oatfield Emeralds to watch the best of the Late Late Show.